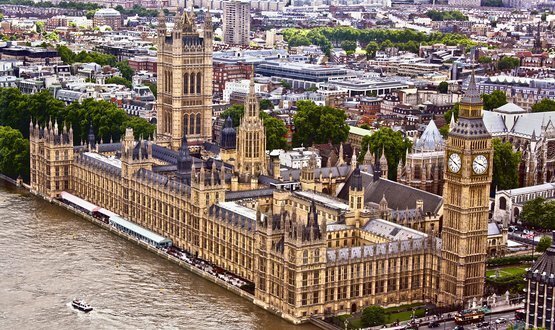 A House of Lords select committee has called on NHS England to urgently develop a consistent and rigorous approach to data sharing agreements, so as to put the NHS in a position to tap the value of AI initiatives in healthcare. A report published on 16 April by the House of Lords Select Committee on Artificial Intelligence (AI) assesses the opportunities afforded to UK industries by the technology. Titled ‘AI in the UK: Ready, willing and able?‘, the report explores how the benefits of data-driven technology can be realised, its implication for the economy and how any associated risks can be mitigated. The paper suggests AI could have a significant benefitial impact on patient care, research, diagnostics and personalised medicine. However, it fears this contribution could be stymied by the lack of a consistent approach to data-sharing arrangements between NHS organisations and AI developers. It therefore calls on NHS England (specifically NHS Digital) and the National Data Guardian for Health and Care to publish a framework in this area by the end of 2018. Committee members pointed out that individual trusts currently make arrangements with companies of their own accord. The agreement between Royal Free NHS Foundation Trust and DeepMind Health, for instance – in which 1.6 patient records were shared with a view to developing a better way to identifty acute kidney injury – resulted in significant controversy. An investigation by the Information Commissioner’s Office ultimately determined the setup broke the tenets of the Data Protection Act. In evidence submitted to the committee, Dr Julian Huppert – who chaired an independent review into DeepMind – described the system as “very chaotic,” claiming that there had not been much work done to weed out companies “whose standards are not very high”. The report stated that this “piecemeal approach” risked NHS trusts exposing themselves to inadequate data-sharing arrangements. London-based technology think tank Doteveryone told the committee that public bodies demonstrated a “lack of competence… negotiating AI agreements with the private sector”, endangering patient privacy as well as raising the risk that valuable patient data was given away for free. The committee also heard concerns the contribution of AI to healthcare could be held back by citizens’ concern over data sharing. “Maintaining public trust over the safe and secure use of their data is paramount to the successful widespread deployment of AI and there is no better exemplar of this than personal health data,” the report read. “This lack of consistency not only risks the NHS not maximising the value of data it holds, but also the sharing of intensely personal patient data. NHS Digital said it had “nothing to add” when contacted for comment by Digital Health News. Earlier in April James O’Shaughnessy, the parliamentary under secretary for the Department of Health and Social Care, suggested that gaining the trust of citizens was key to unlocking “a wave of innovation throughout the NHS”. Is it for NHS Digital et al to come up with data sharing agreements? It’s my data and I can share it with whom I want, thank you very much! Seriously, though, the NHS and data haven’t had a great track record for a few years, basically because it’s trying to fix something that is permanently broken. Can we consider other options, like allowing citizens to decide with whom they want to share their data, based on the value they derive? In the spirit of Open Banking? I share information about my condition with a health professional, I’m happy to do that with others if they will benefit my care, now (GP) or in the future (AI). Less so if is to be shared with insurers and the Home Office etc. Maybe we could do a bulk SAR on the 25th May and take it from there…? I can only speak for GP records as hospital records remain in the dark ages, generally. 1) Sign up for secure online records access to your GP file (Patient Online etc). What if there are any errors, and how does it get updated? If the record was the individual’s responsibility, it might address the issue of ghost patients, and probably make everything a lot simpler for the GP. Non clinical information would include favourite meals, music, TV shows, pastimes and their family structures. Surely we look to those in the Care Sector to try and establish that rapport with vulnerable people. To do that well, they need to have an understanding of some of these “non clinical” details. I am not advocating a nanny state, but think there are some overzealous interpretations of what shouldn’t be shared with the correct stakeholders.